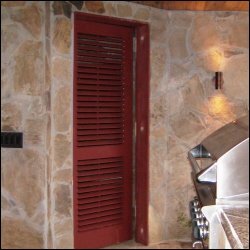 While we are all familiar with flat and raised panel shutters and doors there are other choices when you are looking for something solid. 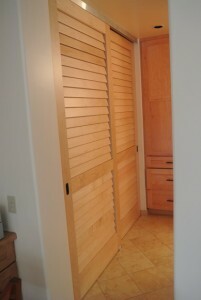 Two popular alternatives are Beadboard and Tongue & Groove. The name Tongue & Groove actually refers to the way the boards join together. 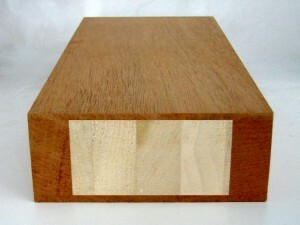 If you look at the images above you will see how one end has a slot milled in to the wood (the “groove”) while the other end is milled so that part sticks out (the “tongue”). To join the the boards the “tongue” on one piece slides in to the “groove” on the next piece. The design we mill has chamfered edges that give it the look of a “V” where two boards meet up. 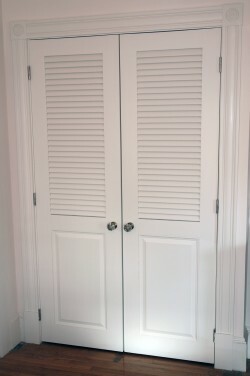 The nice thing about Tongue & Groove is that it can be milled on to most any thickness of wood so that doors (like the one to the left) or board & batten shutters can be made without any frame. 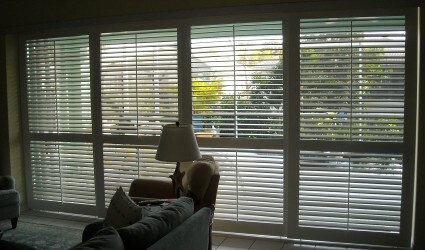 We also offer doors and shutters where the tongue & groove fits within a frame like our 6162H shown to the right. In this design instead of the tongue & groove running vertically we have it cut at an angle. 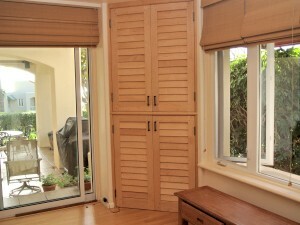 This way when 2 shutters or doors are side by side they take on a Herrignbone pattern. 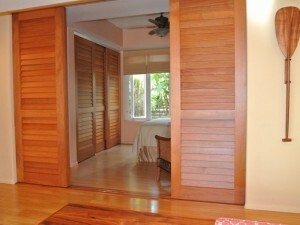 Our Beadboard is really just a variation on Tongue & Groove. It uses the same joinery method, but instead of a “V” channel there is a 1/4″ diameter bead running vertically on each face of the wood. 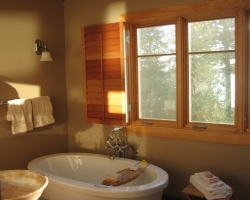 We tend to see more of the Beadboard design with cottage style homes where it is matched up to Beadboard paneling and wainscoting. 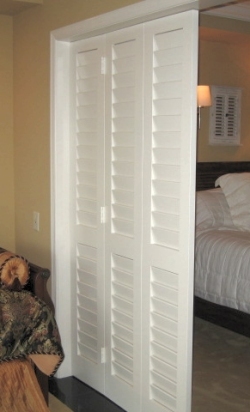 Something to point out is that our Beadboard and Tongue & Groove panels are double sides unlike most of what is available on the market today. 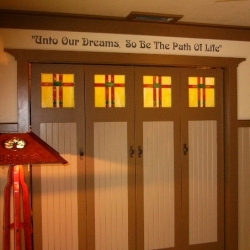 Where the industry standard is to just mill a “V” channel or bead down the face of plywood we still prefer the more traditional method where each board is milled individually to give a more authentic look and feel. 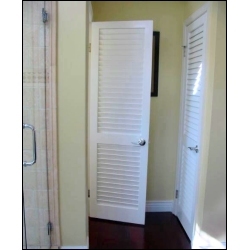 If you are considering designs of exterior or interior doors and shutters that have Beadboard or Tongue & Groove, but are not sure which will work best for you please ask us. Give us a call, send us an email or start an online chat. We are happy to help.